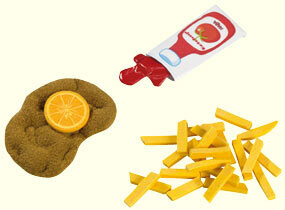 According to the original recipe - weiner schnitzel, French fries, ketchup and a slice of lemon on a plate. Made of felt and velour. Schnitzel measures 5.5".